Gain independence and freedom by learning how to travel using our services! Travel Training is one-on-one personalized training in the use of public transportation. This free program provides potential riders with more in-depth instruction on how to ride and is tailored to the needs of each individual. All Lewiston Transit vehicles are ADA accessible, featuring wheelchair lifts and securements to assist those who use mobility devices or are unable to use the stairs. Service animals are welcome aboard with no prior arrangements required and all fixed route vehicles are equipped with a 2-position bike rack. Riders will acquire new freedom when they utilize public transportation. Successful training will result in riders having access to shopping, jobs, medical and other social activities. 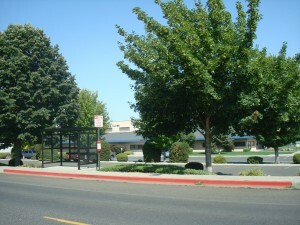 If you would like to learn more about riding the bus and accessing Lewiston Transit’s services, please call (208) 298-1343 . Click here to request more information.